Do You Have Oligometastatic Disease? You may never have heard of the term oligometastasis, and you won't find it in the National Cancer Institute's online dictionary. Yet, like me, you may have oligometastatic disease and could potentially expand your options for treating metastatic breast cancer. I did. Oligometastasis describes patients who have only a few metastatic spots that are typically confined to one organ. In 1995, radiologists Samuel Hellman and Richard Weichselbaum of the Department of Radiation and Oncology at The University of Chicago noted that targeted radiation could help control extracranial metastases. However, as a result, the doctors received "a lot of flak" for making that assertion, according to Dr. Weichselbaum in a recent email. Metastatic breast cancer is systemic, and many medical oncologists shun local treatment of nonsymptomatic tumors in favor of chemotherapy, rather than considering both in cases of limited metastatic spread, especially in the age of targeted drug therapies. But that's starting to change. Besides radiation, local therapy to treat metastases also covers surgery and interventional radiology, of which the latter includes radiofrequency ablation, or RFA, to burn tumors, and cryoablation to freeze them. Neither treatment involves radiation. Another interventional radiology procedure, of which you may have heard, is chemoembolization. It involves inserting chemotherapy directly into a tumor and the tumor's blood supply. The procedures are minimally invasive and you can easily learn more about them in a 6-minute video from Memorial Sloan-Kettering Cancer Center in New York. Some oncologists are now speaking openly about local treatments at conferences for metastatic breast cancer survivors, despite the detractors who still aren't convinced that oligometastatic is even a viable subcategory. In April, I attended the 7th Annual Conference for Women Living with Metastatic Breast Cancer, in Philadelphia. The conference was given by Living Beyond Breast Cancer of Haverford, Pa. It included a workshop on lung and liver metastases, given by Dr. Minetta Liu, who spoke about single and combination chemotherapy regimens and targeted drug treatments, as well as radiation, surgery, and interventional radiology. Dr. Liu discussed likely candidates for local treatments, as well as the need to develop randomized clinical trials to determine whether treating tumors locally improves overall survival. She is an associate professor in the Oncology and Laboratory Medicine and Pathology departments at Mayo Clinic in Rochester, Minn. 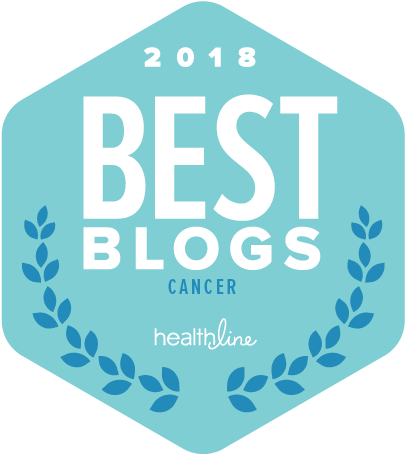 In 2012, the Metastatic Breast Cancer Network (MBCN) at its annual conference offered a workshop titled Moving Forward: Oligometastatic Breast Cancer. The conference was held at the Robert H. Lurie Medical Research Center of Northwestern University, in Chicago. The workshop was presented by Dr. Steven Chmura, who is an assistant professor of radiation and cellular oncology, and director of Clinical and Translational Research at University of Chicago, Pritzker School of Medicine. He is currently recruiting enrollees for a pilot study to determine the affect of stereotactic body radiosurgery, or SBRT, to treat breast cancer metastases that are not symptomatic. If the study were successful, he would then conduct a trial to determine whether SBRT improves overall survival and quality of life in metastatic breast cancer patients. Joan is a helpline volunteer, member of SHARE Leaders, and a consumer reviewer at the Department of Defense Breast Cancer Research Program. She also facilitates SHARE's metastatic breast cancer support group, Living with Uncertainty.